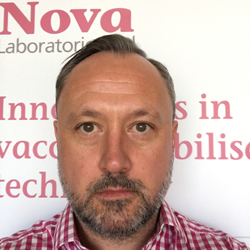 Leicester, UK-based Nova Laboratories has appointed Richard Limb as its new head of quality assurance in a role that will see him support the overall needs of the business and its technical operations. Prior to Nova, Limb served Pfizer as its head of quality for its aseptic services division and brings over 20 years’ experience in the healthcare industry. He said: “The challenge ahead is to support Nova’s growth and expansion plans whilst simultaneously meeting the ever-increasing regulatory demands and expectations in the current market place. “The head of quality assurance is a significant role within Nova and has influence across the business,” said Roger Stainforth, head of group finance. “He is not in post purely to provide technical excellence and improve our QA systems; these efforts need to be aligned to the strategic direction of the Nova group and support the overall commercial effort whilst ensuring regulatory compliance and best practice across the business units,” he continued. Limb succeeds Neil Housley who joins Quotient Clinical as its vice president, quality assurance.